It’s time to grow your Pinterest account like a magical beanstalk. It may sound too good to be true, but I’ve stumbled across a new tool that can unlock your Pinterest super powers. If you’ve read any of my posts regarding other tools I’ve used and reviewed, you know that more often than not I like to share products that I think are truly going to be helpful to you and your goals in the blogging that you do. With that said, if you’re not using Pinterest because you haven’t been able to wrap your head around it yet, I understand. It’s so massive and has so much potential and it can be hard to find a good traffic source that doesn’t take weeks or months to experience the full benefit of the platform. Seriously, let’s think about this. How often have you tried this strategy or that one only to grow frustrated wondering what is it that you’re missing that someone else has figured out. What would it look like if you had the same access to the cool tools that the big boys use ? What’s the new stuff online that everyone else seems to get access to before you ? Truly.. all good questions and honestly, even I’ve asked them before too. At the end of the day there is some truth, in fact a lot of truth connected to the reality of pure hard work and diligence. But even with that said, there’s also something to be said for being in the right place at the right time as well. There’s nothing wrong in admitting that you need a little luck and that in nearly every scenario and in most success stories, sometimes happenstance is a part of their success stories too. Needless to say, today I think you’ve happened to find yourself in the right place at the right time with respect to this post. I’m going to introduce to you a new Pinterest (pin it) growth and management tool. The best part about this tool is that it’s a set and forget solution for your Pinterest growth whether you want to manage just one account or several. Now there are many reviews online about this product, but I haven’t really seen anything so far outside of the typical template styled reviews where they hype up the product, list a few pros and cons and then tease you with a load of other software that they’ll give to you free if you purchase the product so they can earn their affiliate commission. As for me, I’d like to take a more informative approach because what’s the point of purchasing a product if it’s nice, shiny and interesting but really doesn’t do anything at all to make your life any easier. Let’s face it, growing your Pinterest account takes time.. I mean a lot of time. Ugghhhh.. I don’t mind “some” automated products as long as they aren’t garbage and actually work the way they are supposed to. After having used Board Commander for just under a week, I have to say I’m legitimately pretty impressed with it. It’s not perfect, but it will save you time completing the manual tasks associated with Pinterest. This first image is going to be your login page. Once you’ve logged in, you’ll be introduced to your dashboard (some information has been redacted for privacy). This area allows you to manage your campaigns and lets you see what campaigns you have started. If you want to start a pinning campaign this is where you want to be. You will simply select the board where you want your pins to be placed. In the settings menu, you can choose how many pins per day you want pinned to the board(s) that you have chosen. Additionally, you will need to set the time when this campaign will start and when it will end. You will also need to choose the days when you want pins to be placed on the selected board(s). There is also an option that allows you to avoid pinning the same pin for any selected amount of days too. Another feature that I love about the pinning aspect of Board Commander is that you can choose where to get your pins from. Being able to target your pining from where you choose is a feature that allows for a degree of focus that yes.. can certainly be achieved on your own “manually”, but this way simply expedites the activity without a ton of intervention on your part. In the most basic of terms to simplify and clarify what I mean is that this makes your life a lot easier and allows you to accomplish the task much faster than you or I could without the help of the Board Commander software. Nevertheless, once you’re done just activate your campaign. You’ll want to navigate to the new follow task button. Here’s where you’ll specify how many users to follow to start building up your personal Pinterest fan club of individuals that want to follow your board and pins. This is a tough and extremely time consuming task to accomplish for most. Some niches are easier than others to get followers, but that’s just the nature of Pinterest. Needless to say, Board Commander really does make it pretty easy and effortless on you. I’d love to be able to say that there’s more to it than that, but hey if it’s not complicated I’m not going to say that it is. I started out pretty conservative with my numbers in the follow campaign that I started only asking the software to follow at minimum 30 people and at maximum 101 people and I’ve tweaked the numbers to where they are now so even though my follower count is low, the caveat here is that I started with 2 followers and it’s grown to 19 in 5 days. Another caveat is that I’m not just picking up random followers which is also affecting my overall performance too, but I’m way okay with that. To explain that a bit more, after setting my minimum and maximum followers per day, I went to the other options available to me in this section and ticked the “follow by account” box because I wanted to only follow users that were connected to my niche. I would recommend that you do this too. NOTE: there’s no point to having a huge following if they aren’t engaging with your boards and pins. Targeting like boards will also prove to be more useful than not targeting boards that are similar to what you’re pinning. You want to go after the right audience and the right pinners. I set the days that I want it to follow and chose Monday through Sunday and that’s likely going to be the same for you as well, but you do have the option to pick and choose your days to enable this follow task. Once you’re done just click on the start button to make your follow task active. I like that while using this particular aspect of Board Commander, you can specify how many days in between unfollows the software should operate the task. After you’ve set the time, days, minimum and maximum unfollows per day and optionally.. any protected accounts, then you’re done with this tool. Clicking save will activate the task. This is very straight forward. This section allows you a search function to help you find group boards where you can contribute pins to for extra exposure for your boards if you are accepted as a contributor. I would like to see more in this section. Quite frankly, Pingroupie does a better job in finding group boards because they lay out much more information that is useful for those of us seeking group boards. While I understand that Board Commander is new, this area is lacking in a big way and if group boards is your focus, you’ll be disappointed in Board Commander’s offering for that function, but certainly hope that they will beef this section up in future updates of their software. This section simply lets you manage the Pinterest accounts you have associated with the software. NOTE: you can only have one account unless you opt for the upsell “unlimited accounts upgrade”. In this section you get access to some analytics data provided free as part of your purchase if you choose to acquire Board Commander. Currently the reporting section covers: pinning history, board performance and follower growth. This section currently provides you with 7 videos to help you get started with their platform. I do not know if there are plans for additional videos. I’d personally like to see this area refined a bit as well. The videos are informative and will provide enough information to get you started successfully with Board Commander in no time at all. Additionally, the videos aren’t very long and basically serve as a quick start guide if you think you’ll need information beyond your own tinkering and experimentation that you’ll likely do yourself. Clicking on the link will take you to a separate page where they hold the knowledgebase for Board Commander. Through this portal you can submit tickets and get access to their customer support. 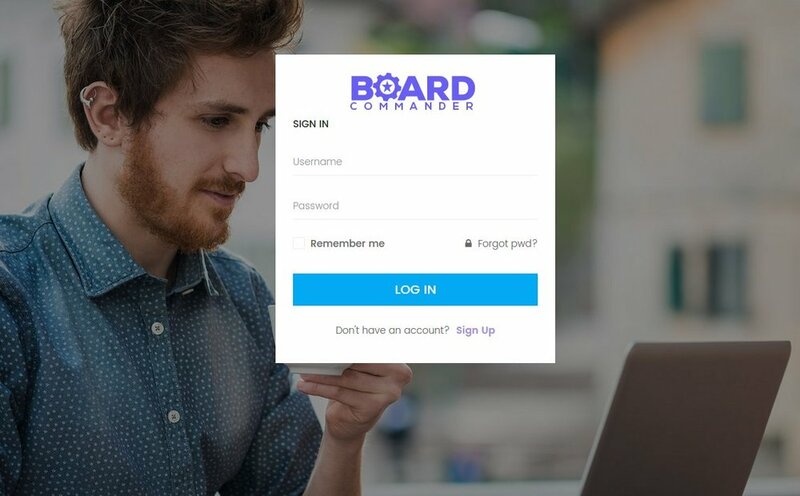 I have not used this function so I cannot attest to the quality of it, but I do know that you have to set up an account in order to use this section of their page even after purchasing Board Commander. With that said, Board Commander has helped me to grow one of my inactive Pinterest accounts in a matter of days and with the help of this software it will continue to grow without any intervention from me. Such a huge time saver and I am in love with it and I’m not so easily impressed with many software packages online today, but this one in spite of a few necessary tweaks that I hope the developers will make in future releases is a software package that is worth every penny they are asking for. I am definitely a fan of this software and therefore became an affiliate as well to promote their product and share it with you. Here are the Board Commander links if you’d like to make your own purchase. I certainly hope you’ve enjoyed this overview and insight into this Pinterest growth and management tool. Time is something we can’t get back and while I fully understand the manual mindset as I promote that often myself, Pinterest actively sees millions of people per month and that’s a traffic source that cannot be ignored hence my recommendation of this tool. It will help you get recognized much faster than doing it on your own the “manual” way for your blogs and content websites. Additionally, make sure that you follow Pinterest limit rules as well. We are all subject to their limits whether you automate your accounts or not. These limits will help you in setting your minimums and maximums on Pinterest as you use Board Commander.